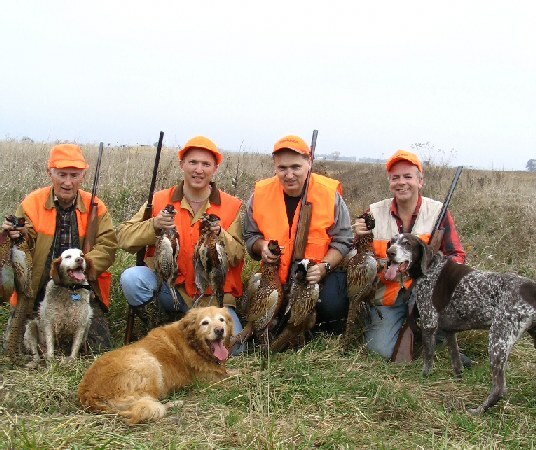 One of the most popular topics the notion of the “All Around” shotgun. 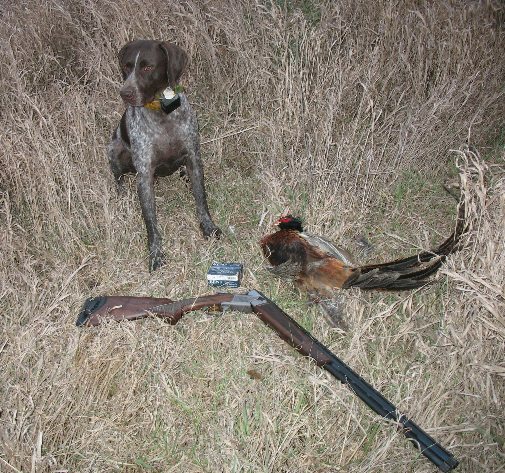 At one time, a High Standard Supermatic Trophy twenty gauge was my very best all-around shotgun with no question. Of course, it was my only shotgun. 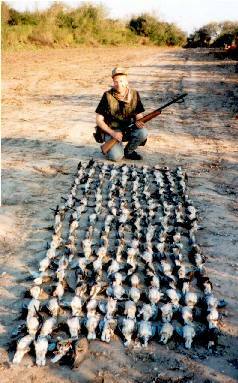 Nevertheless, I won my first trap shoot with it, it did a fine job on doves, ducks, and wild pheasants, and was part of many, many happy hunting memories with my great-grandfather, grandfather, and my father. It was a big step up from a Mossberg bolt-action .410 bore and an old Crescent .410 SxS with a cut-down stock. It had a factory adjustable choke, a trigger-guard mounted safety that took thirty pounds of force to get off. Though a gas-operated semi-auto, it was that in name only for it was a single shot more often than not. It dropped a lot of birds, though, even if it generally had “once in a row” reliability. It was just the ticket for crows, dove, pigeon, clay pigeons, ducks, pheasants, you name it. There were a lot of crows, back then, there was a bounty on them. Grandpa did the best crow call I've ever heard, not with a any commercial call, just with his voice. It was so good that my cousin, Steve and I could barely contain the laughter every time Grandpa let loose. Not because it was bad, but because it was so spectacularly, scary good. The crows thought so as well. My Dad used to work summers at my great-grandfather's farm, and that bounty on crows was a good way for Dad to supplement his small income. Dad stored his crow heads in a burlap bag, and when he had a bag full it was a trip down to the county courthouse to turn in the heads and collect the bounty. On one trip that my Dad liked to talk about, a rather frumpish lady asked how many crow heads he had in the bag. “One hundred twenty-seven” was Dad's reply. “I don't know this!” was the gruff comment from the matronly courthouse assistant. Always willing to please, my father dumped out 127 decaying, fermenting crow heads on the lady's desk, happily submitting to her request for verification. Unsurprisingly, no one ever questioned my father as to how many crow heads he was turning in, ever again. Not because it really was, of course . . . it was because it had to be. Despite its fundamentally poor quality, it fit me well and a shotgun that fits and goes bang (at least once) beats just about everything that doesn't fit every single time. It still does. A twenty gauge is a great all-around shotgun, or at least it was, for all we used in those days was lead. It is “steel” (soft iron) shot that has muted the 20 gauge today as an all-around scatter-gun today, at least when you are forced to use steel and won't pony-up for tungsten and related, denser shot materials. What makes the “all around” discussion unanswerable is that everyone has a different definition of all-around, and everyone has a different version of what “affordable” is. 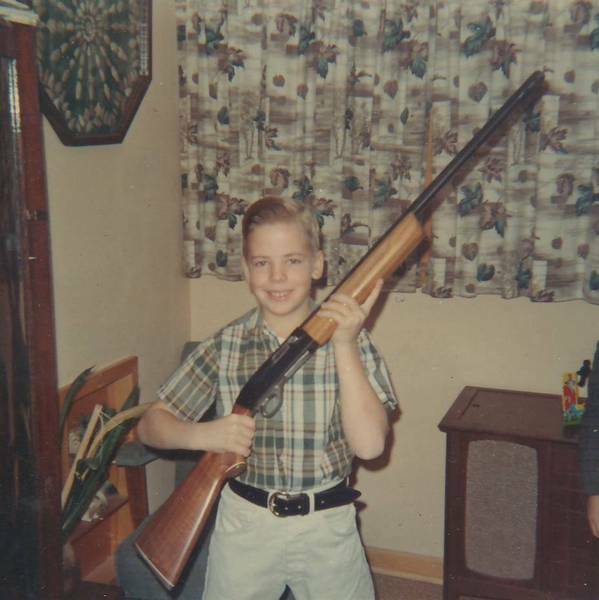 While my great-grandfather was a farmer and commercial hunter with several working guns, and my Dad eventually became a collector as well as a life-long avid hunter, Grandpa had one gun: a Browning A-5 Light Twelve, vent rib, modified choke, and that was his all-around gun all of his long adult life. I might sound horrific, to some, to endure an adult life with only a 2-3/4 inch chamber and a fixed choke, but if that was any kind of problem for Grandpa, it was imperceptible. Grandpa's Auto-Five still functions beautifully today, so when a piece of hardware can give you a lifetime of service, it seems a bit silly to settle for a poorly-finished shotgun. I'll confess to not always “getting it,” for Obamacare runs me $1330 a month, property taxes $7000 a year, so struggling to “save” a couple of hundred bucks on a shotgun is insignificant-- if it is the gun you want, the gun that fits you: the gun that speaks to you. The thing you that have to buy again in order to be satisfied is no one's bargain, least of all yours. 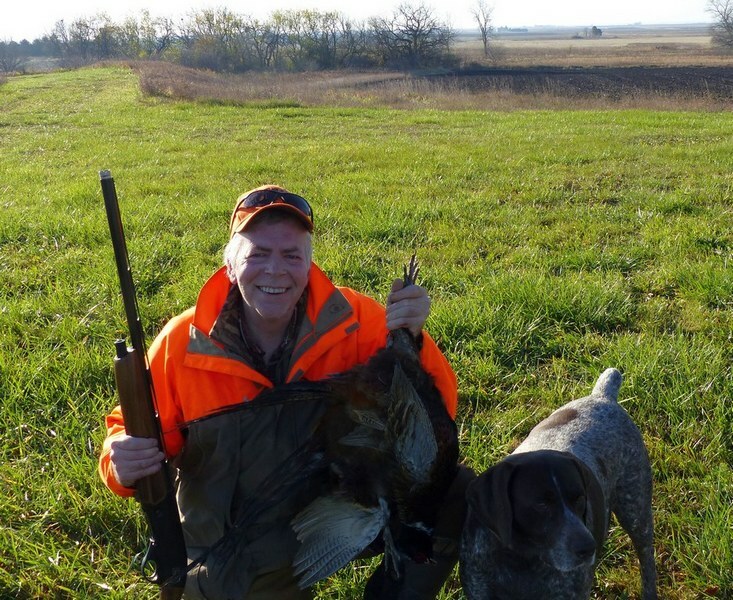 If your version of an all-around shotgun is a mix of dove, pheasant, and spring turkey hunting, along with a bit of clays to keep yourself in form, a twenty gauge is ideal. Gauges don't mean all that much, it is payload and velocity that do the work on game. Over the last several years, the 20 gauge has gotten better and better: not because a hole diameter in a tube is all that exciting, but because on the ammunition side you have 1-1/2 oz. Federal Heavyweight #7 turkey loads, the heavy-for gauge Federal 3rd Degree loads (1-3/8 oz. @ 1100 fps), the best lead 20 gauge loads ever in the Winchester Longbeard (1-1/4 oz @ 1000 fps), and so forth. If no-tox is an issue, things do get a bit pricey, but the Kent Tungsten-Matrix loads (1-1/8 oz. @1360 fps) have done a superb job for me on wild pheasants and ducks as well. For dove and similar, probably the best shell going is the Winchester AA 1 oz. loads (1 oz., 1165 fps). Of course, your individual gun and the patterning board will show you what is best at the ranges you want to shoot at. 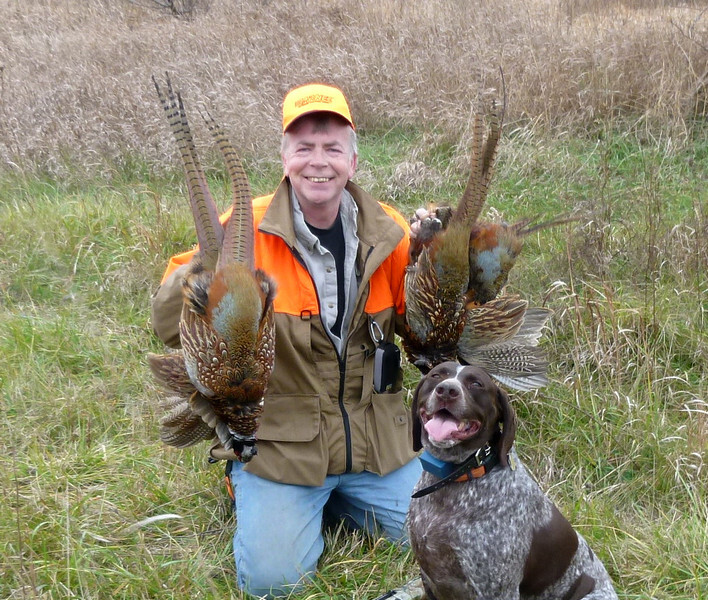 The 20 gauge shotgun is slimmer, trimmer, and faster as a matter of course for an upland field gun where some 12 gauges struggle to get there. Nothing carries like a twenty, except for a twenty. However, for the duck blind using steel shot, a 20 gauge cannot remotely compete with a 3 inch chambered 12 gauge. As much as I've enjoyed 20 gauge (and 16 gauge) over the years, 12 gauge is generally the default choice for trap and sporting clays. It isn't that a 20 gauge (or most anything else) won't “really crush clays” (whatever that is supposed to mean) but a 12 gauge is more versatile, cheaper to feed, has many more model options, and weight can be a blessing, the opposite of the Curse of the Uplands. Recommendations are something I take very seriously: the same way as always, for it is a firearm that I would suggest to my family, my friends, and my neighbors, Any recommendation means “worthy of your consideration” for if you personally don't like the gun fit, balance, controls, and handling, it is highly unlikely it is the gun for you. There never can be the best, just the best for you and what you, personally, are willing to invest is also a factor. I'm absolutely right in my opinion that autoloaders are the best hunting guns. It isn't that they are right for anyone and everyone, the only thing I'm right about is that this is my opinion. I believe it was Bruce Buck who commented along the lines of “tell me the best place to live, the best car to drive, the best woman to marry, the best thing to have for dinner . 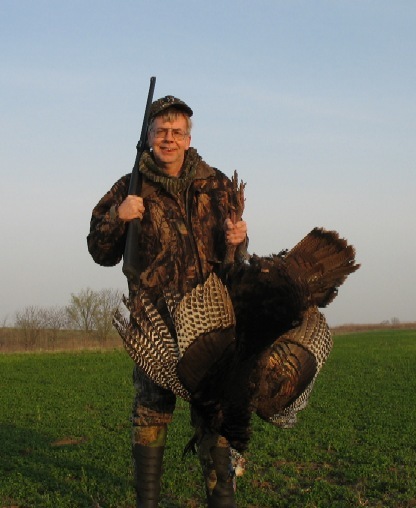 . . and I'll tell you what the best shotgun is for you.” While Bruce Buck is “Never in Doubt,” I'm always in doubt except for what I personally use-- I have no doubts about those arms. Just like bolt-action rifles (and many common hardware items), the current level of shotgun quality is low. The older “standard quality” in terms of level of polish and wood to level fit is now “high grade.” Often, it is not a functional consideration, but when you consider classic Automatic-Fives had hand-checkering, hand-engraving, polished blue, fairly light and crisp triggers, and extensive polishing, machining, hand-fitting, and patterning prior to shipment at the basic “Grade I” level, our perception of “durable goods” has changed. While some of us enjoy the nostalgic romance of craftsmanship, the reality is that, in order to be manufacturable there is very little craftsmanship involved: certainly comparatively little in the way of skilled handwork. It is a trend in tools, appliances, and also firearms that is really hard to miss. Nevertheless, several models made of highly polished plastic by old world craftsman are quite competent, if you can tolerate that level of Bic-lighter quality. On the short list of pump-guns, I'd consider the Ithaca M37 (used above), the Remington 870, and the Browning BPS. You can still get the most quality for the dollar in a slide-action, for autoloaders aren't much more than pumps that close themselves. In fact, my first 100 straight at trap was with a old standard weight Wingmaster 20 gauge, with a fixed IC choke. Not ideal by any reasonable standard, but it fit well and moved smoothly. While I suppose we are too lazy to pump, just like a three-in-the-tree column shifter is too much hassle in an automobile today for some, if a pump gun fits, you'll have a lot of fun. Whether Ithacas and Remingtons for wild pheasants, a BPS 16 gauge for dove, and Ithaca Turkeyslayer 20 gauges for turkey, I've had a lot of fun with them and so will you. Reliability is a perpetual topic, as is cleaning, but a good slide action is more reliable (with a wider variety of shells) by nature than an autoloader, as shell intensity has nothing to do with function. Over the last 120 years, slide-action shotguns have been the most popular smoothbores for military and civilian law enforcement: originally due to reliability with varying shell quality, paper hulls, etc., but also due to cost of acquisition. Some of what might be considered “obsolete” shotguns still get regular use. I'm not trying to define “obsolete” in any philosophical sense, just the basic meaning of “no longer produced.” Browning A-5's, Browning B-80s (made 1981 – 1987), the related Beretta 302 / 303 series, and the Beretta A390s are just too good not to use. After thirty-five years of B-80 use (Argentina above), I can enthusiastically tell you that (if they fit you), they are something special in a mass-produced gas gun. The clean 20 gauges have been hard to find for some time, as comparatively few were made compared to the 12 gauge offerings. The best all-around 12 gauge on the market, for me, is the Fabarm L4S, shown above. That's the autoloader I really love: it was love at “first case of shells.” The factory choke tubes are fit so precisely that the outside of the tubes give the impression they have never been fired after a case of shells. There is no mainspring or mainspring tube in the stock to ever address, the machining is extremely clean, the triggers are better than most current production autos, there is zero stress on the forearm (you can fire the gun with the forearm removed), the bolt release is hard to miss, and the barrels don't wobble or slide in the receiver. It is the first 12 gauge that I gladly grab for wild pheasants vs. my normal battery of 20 gauges. In a few months, a dedicated sporting version of the L4S is coming out . . . and, I can hardly wait. The Benelli M2 20 gauge Comfortech 24 inch model may be a bit pricey based on its simple, plasticy build ($1599 MSRP), it is no one's vision of breathtaking beauty, yes it needs a trigger job, Trulock Precision Hunter chokes, and it is a bit stiff-loading compared to others. But, it is a beautifully balanced six pound field gun that, while not as soft shooting as some gas guns (Browning Gold / Silver) beats most of them in the handling department, and the Comfortech stock scales well with load intensity. With target loads, you'll find a B-80, an A-5 Light Twenty, or most certainly a Browning Gold to be softer shooting, but with 1-1/4 oz. - 1-5/16 oz. 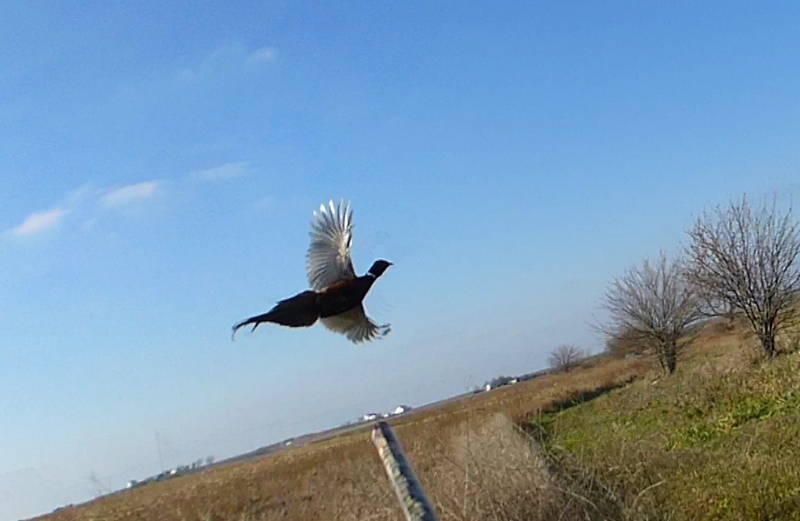 pheasant loads, there is enough flex in the stock to make follow-up shots for that second pheasant essentially instant. The Remington V3 is Remington's best autoloader, ever, as far as I'm concerned. It is surprisingly low-priced, surprisingly soft-shooting, and though not a flyweight (about 7 lbs. synthetic, 7-1/4 lbs. walnut) if it fits you, it is the best that can be had for $750 on the market today. Sure, I'd love to see V3 20 gauges, a 24 inch barrel 12 gauge model, and I'd also like to see some upscale highly polished blue offerings, but this is the first Remington self-loader that checks all the important boxes for me. While I've used (steel-receiver) B-80s and Beretta 390s heavily for race games and most clays duty, for trap I've used Browning 425's and older Winchester Pigeon grade 101s the most. 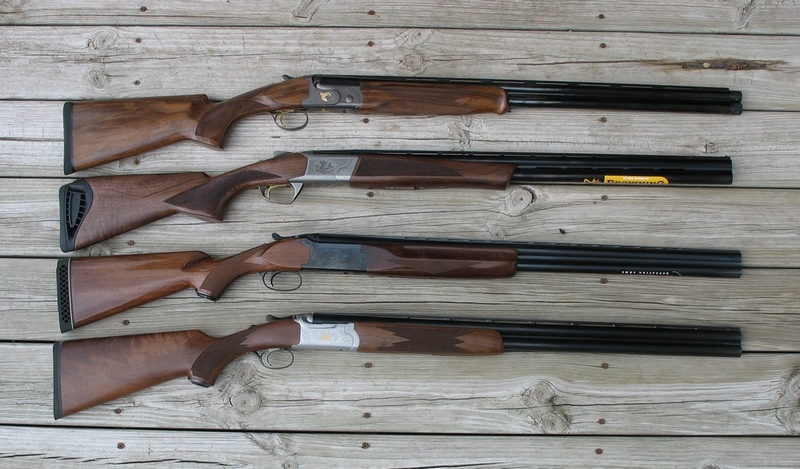 The defacto standard for moderate-priced O/U's has long been the classic Citori action or the Beretta 686/687 and 682 series. The overlooked, overstyled, and somewhat overpriced O/U that I personally like is the Browning Cynergy. With Browning recently finding new religion in their pricing, the Cynergy CX is worth a close look. In 20 gauge, the Cynergy is a fine pheasant gun as well. For the lady in your life, or folks that just need more diminutive stocks, the Cynergy Micro Midas 20 gauge is a worthy field and everything else gun, if it fits the individual. When the price goes up, I personally expect fit, finish, walnut, warranty, and customer service to go up in quality commensurately. If an upgrade to the $3500 level of shotgun isn't a problem for you, and many folks are quite willing to invest more than double that amount, you might want to take a close look at the Caesar Guerini Summit Sporting and variations thereof. The CG Tempio (shown above) with sporter wood is a terrific all-around choice as well. Not every Beretta or Browning has problems, far from it, but if you ever do have need of responsive, professional customer service you'll be glad (and your children will be glad) you invested in a CG, one hundred times over.